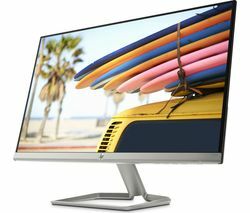 HP is a name that you can trust when it comes to computers and digital electronics, and that is just as true for HP monitors as it is about HP laptops, desktops and other devices. Our extensive line of HP monitors includes models of all sizes, including some that would be just as at home displaying 1080p or 4K video from a games console as they would be displaying cutting-edge PC graphics or rendering your documents and spreadsheets in achingly fine detail. When you buy a HP PC monitor, you know that you’re buying a high quality, well-made device that will last for years and deliver exceptional performance for its entire service life. 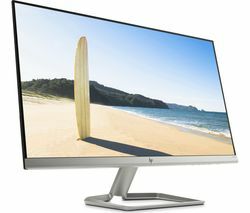 Our range of HP monitors start at 21.5 inches and go up to 34 inches in screen size, so whether you’re after a vibrant, hyper-efficient and Full HD LED model, or an immersive curved monitor with Mobile High Definition Link and built-in speakers, one of our HP monitors is sure to meet your needs. Our range of PC monitors doesn’t end here, take a look at our comprehensive selection of computer monitors, including models from Acer, Samsung, AOC, LG and Phillips, in addition to our extensive Dell PC monitor collection.